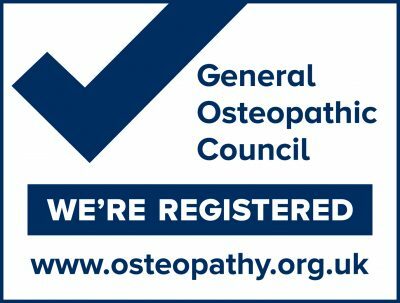 All of the Osteopaths at Lisa Gibbs & Associates are registered with the General Osteopathic Council. The skills learnt through years of training and continuing professional development enable our Osteopaths to correctly diagnose your problem and then, armed with an array of physical techniques, postural advice, and an after treatment exercise & management plan we hope to set you on the road to recovery as soon as possible. It is important to us that you feel understood and that we have explained our treatment plan clearly to you as we believe that you will more quickly improve with this approach. We try to make sure that visiting our practice is a pleasant experience, where you will be made to feel very welcome and comfortable, and we will never keep you coming back unnecessarily. Lisa Gibbs & Associates is open 6 days a week (not Sunday); and we have appointments available from before 9 am until after 6pm. Referrals from your GP are not necessary for an appointment, simply call one of our receptionists on 0208 942 1511 and they will be happy to book you in or answer any further questions that you may have.